The Interfaith Summit held over the past 4 days at the City Hall in Brisbane attracted over 350 delegates from many parts of the world. Under the banner "One Humanity, Many Faiths" the conference provided a forum for the different faith communities in Australia and the Asia-Pacific region to share their creative and successful community-based initiatives. Amongst the speakers present at the conference were the former President of Indonesia, KH Abdurrahman Wahid; Imam Dr. Tariq Syed of the Council of Fatwa (Australian National Imams Council - ANIC); Shaykh Moez Ben Nafti, President of ANIC (pictured left); Mr. Ikebal Patel, President of AFIC; Ms. Nora Amath, Managing Director of the Australian Muslim Advocates for the Rights of All Humanity - AMARAH; and Imam Afroz Ali, President of the AlGhazzali Centre for Islamic Science & Human Development. Sheikh Ahmad Ghazaleh performed a solo piece entitled Salaam at the Multi-faith Multi-Cultural concert held on the Thursday evening. The delegates participated in Interfaith Dialogue Circles in the afternoons, each circle identified by names in 18 different languages that denoted the concept of peace such as Rangimarie (Maori), Heiwa (Japanese), Santiphap (Thai), Saameye (Singhalese) and Damai (Bahasa Indonesia). A collection of concise statements from the different faith leaders clarifying the core values and principles of their faiths were presented for publication as a book. At the closing ceremony delegates were given candles and cardboard doves to record their thoughts on the event and hopes for the future. On the final day (Saturday) 120 delegates (pictured left) were taken on a bus tour of Brisbane Churches, Temples and Mosques. They met with Imam Akram Buksh and other officials of Kuraby Mosque and were given a brief history of the Mosque and the local Muslim community. The Griffith University Multi-Faith Centre and Prof Toh Swee-Hin and Dr. Virginia Cawagas and their team in particular are to be congratulated on a very informative, entertaining and engaging summit. The Combination is a powerful and deeply affecting story of a contemporary Lebanese family in urban Australia. John Morkos is released from prison intent on a new life, free of his old ways. But he finds his younger brother Charlie being lured by the local underworld. John’s demands to stay clear of crime fall on deaf ears – Charlie has no respect for the former crim. In the thrall of gang leader Zeus, Charlie’s life oscillates between the schoolyard punch-ups and the gangland streets of his neighbourhood. When John meets Sydney, a beautiful Aussie girl, and finds a job at the local boxing gym his life is challenged in unexpected ways. But Charlie’s unrelenting decent into the world of crime places his whole family in harms way, forcing John to risk everything to right his brothers wrongs. The Cast includes George Basha, Clare Bowen, Firass Dirani, Ali Haidar, Doris Younane. At the Muslim Business Network Annual General Meeting held on Wednesday at the Runcorn Tavern four new members are appointed onto the Executive Board as Directors. They were Dr. Daud Batchelor, Dr. Shafiq Allahwalla, Mr. Bilal Rauf and Mr. Iqbal Lambat. Mr. Shummis Rane was re-appointed for another term and the four existing Exco members Mr. Farouk Adam, Mr. Sultan Deen, Mr. Ebrahim Paruk and Mr. Naseem Abdul make up the new 9-man team. A meeting of the committee will be held during the week to elect the new Management Committee. The YMCA Queensland is seeking passionate young Muslims to nominate to represent their community in the 2009 Queensland Youth Parliament. Nominations are now open and will close at 5pm on the 6th March 2009. The YMCA Queensland Youth Parliament is a civics education and youth engagement forum which brings together a Youth Member, aged 15-25 years old, from each of the 89 electorates in Queensland’s Parliament. Nominations are needed for all current 89 state electorates in Queensland. Co-ordinator of the YMCA Queensland Youth Parliament, Louis Paul Franks, wants to encourage participation from the Muslim community. “Youth Parliament is about engaging Queensland’s diverse communities and recognising the unique experiences and perspectives individuals bring,” he says. Last year Queensland’s Youth Parliamentarians were amazed by the insight Omar Issadeen, Abdul Obied and Yassmin Abdel-Magied provided information about the Muslim community. Yassmin was also later elected the first Muslim woman to ever take on the title of Premier in Queensland’s Youth Parliament. For more information or to nominate, check out the website www.ymcaqyp.org. Every now and then CCN will interview a local personality and ask the hard questions. This week CCN turns the spotlights on Mr. Hussin Goss - organizer, entrepreneur, auctioneer and entertainer extraordinaire. Hussin Goss might be known for his exuberant personality on stage, but today we will look at the man behind the microphone. Hussin is the owner of Goss Bros. a cold storage and transport business, and his family was the first Muslim family on the Gold Coast. Not only has he been at the fore front of establishing the current Mosque but he is a well known identity in his own right. His effervescence is either infectious or tiring, but he is always entertaining..
Tell us a little history about the mosque: The original mosque was started in 1984, but the current mosque was built in 1995. 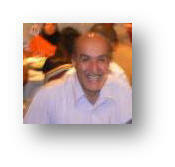 I have been on the mosque committee since 1990 and was treasurer for 12 years. Who else is on the committee? What fundraising will you be doing this year? Not everything is confirmed yet but we are going to do something different with our Fundraiser BBQ. We are planning a Multicultural Food Fest. We will also have another Eid Dinner after Ramadhan since the one last year was so successful. What is so good about the Gold Coast Community? The Gold Coast community is growing so quickly, and everyone helps out. It’s very diverse. We also have a live wire Imam, who is working for the community. We have the biggest Jummah prayers in Queensland with approximately 740 men attending. We have a shop at the Mosque that opens and sells food on Friday after Jummah, and for the children attending madressah. All the proceeds go to the madressah which is attended by between 80 and 90 children. What are some of the things the GCIS has achieved? We have been working for almost 3 years trying to get a new Muslim cemetery and we have finally got that approved. It will be located next to Dreamworld. We have also worked with the theme parks to make sure they have prayer facilities and halal food available. Also some of the shopping centres, and Griffith University and Bond University have now all got prayer rooms. We have also worked closely with the Gold Coast City Council to facilitate the establishment of the new Islamic school at the Gold Coast, which has also just been approved. What would you like to see in the community? Eventually we would like to get some student accommodation built at the Mosque; a second Mosque at the Gold Coast; and work with a radio station to get some air time for the Imam. We also want the community to grow from within, and the next generation to come up and take over. We need succession from them, to have them involved. They can make mistakes and we can be there to help them, but they need to take over. 1. Is it stealing if I taste a grape at the fruit shop? Yes it is. 2. When I see a microphone I…love to speak in front of it, I feel like giving to the people, I get energised, I go crazy, I need to entertain… (he continues, Just the mention of the word microphone gets the man excited). 3. I know all the words to.. Elvis Presley’s Falling in love (and he goes spontaneously into the first verse…Wise men say only fools rush in But I cant help falling in love with you). 4. I really am not good .. at writing, I am good with figures, I can fix figures, give me some figures and I can do something with them. 5. At school I was.. a bit of a rascal. 6. 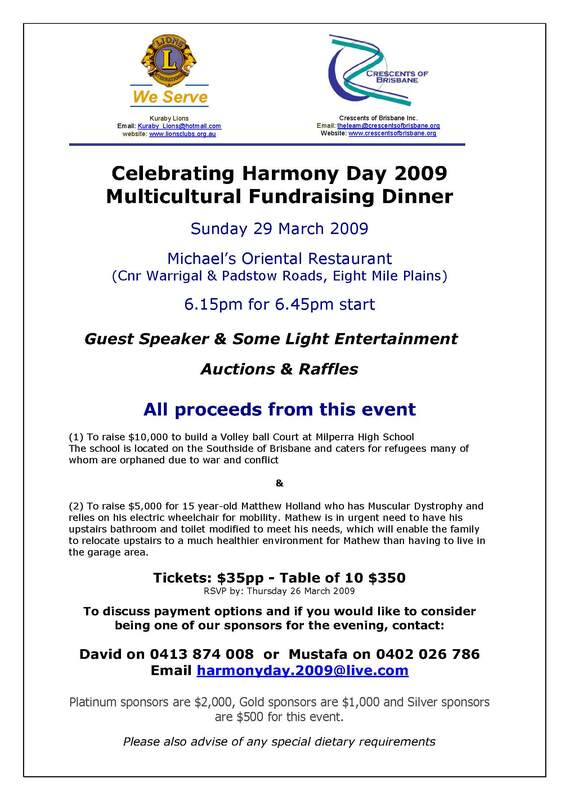 My most memorable event was .. an event about 7 years ago a fundraiser with the Rane Brothers at Annerley and we raised $270 000 in one evening. That was great, other than that, I don’t go much for memories. 8. When was the last time you cried …. I cry all the time. 9. You may not know but I really can play… Rugby League, I was the best and fairest at school and I actually represented the Gold Coast. 10. 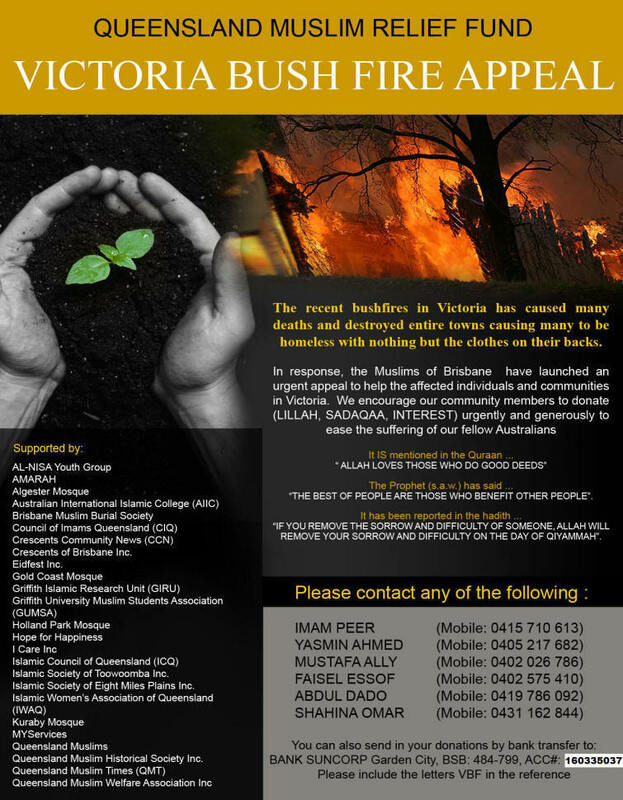 I would really love to see….. A Muslim community centre, that would seat about 2000 people for everyone to use. 11. My favourite karaoke song is AC/DC A long way to the top. 12. Everyone might like to, but I don’t like to…. Smile. I don’t like to smile. 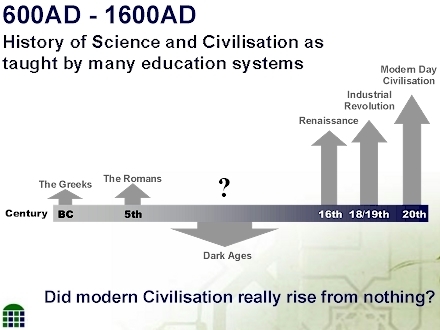 The new MuslimHeritage.com website is a community and non-profit initiative aimed at providing an educational forum to present and discuss the contribution of Muslim Heritage to present day Science, Technology and Civilisation. You can begin your journey into 100 years of missing history here. AN ANCIENT religious enmity is at the centre of a new conflict in the Sydney bikie scene, with a new gang comprised mainly of Sunni Muslims warring with a group of bikies with a Shiite Muslim background. While detectives continue to investigate the February 4 bombing of a Hells Angels clubhouse in Crystal Street, Petersham, police and other sources are indicating that the city chapter of the Comanchero is involved in an escalating feud with a new club, Notorious. The president of Notorious is a Lebanese-Australian with a long-standing association with a bikie from a colourful Sydney Sunni Lebanese family. The two are among Sydney's original "Nike" bikies - sporting white sneakers, fashionable T-shirts and clean-shaven instead of the traditional boots, dirty vests and bushy beards - and both are from Sunni families from Sydney's west. Notorious is considered by gang squad detectives to be the prime suspect in the Crystal Street bombing. One of its mottos is "Only the dead see the end of war" and its "colours", or coat of arms, is a turbaned skeleton holding twin pistols with "Original Gangster" beneath it. Today is the first time the club's colours have been revealed publicly. On the other side of the conflict is the president of the Comanchero City Crew, a Beirut-born Shiite who grew up in the St George area. Comanchero has been one of the motorcycle gangs that have embraced the new breed of "Nike" bikie, and have been recruiting from the Lebanese and Islander communities for several years. Traditionally, Lebanese Muslim migrants to Sydney have been geographically and religiously divided. The Sunni majority live in Sydney's west and south-west, mainly around Auburn and Bankstown, while the Shiite minority live in the St George area. "The two groups have no love lost between them," a senior police source told the Herald. They have been fighting since the Sunni bikie, one of Sydney's most well-known gangsters, became president of the Nomads Parramatta chapter in the late 1990s. In 2006, he was jailed over a Newcastle shooting. The following year, the Parramatta chapter's Granville headquarters was bombed, allegedly by the Comanchero, and the chapter subsequently disbanded. 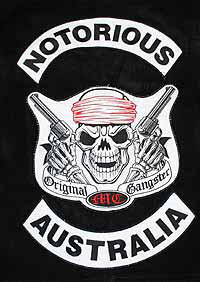 A few of its members formed Notorious, probably at the request of the Sunni bikie. "[The Sunni bikie] left the Nomads while he was on remand," said an investigator who has watched the two groups for years. "He was telling people he was planning to start up his own club. Around about the same time, Notorious appeared." Unlike the Sunni bikie and the Notorious president, the Comanchero City Crew president was born in Beirut and grew up in Sydney's southern suburbs. He appeared on television in 2005 following the Cronulla riot and Maroubra reprisal violence, when he met members of the Bra Boys to calm tensions. When the Herald asked the president of the Hells Angels city chapter about the bombing, he was succinct: "I've got nothing to say, thank you." But bikie sources said the Angels believe Notorious may be responsible for the attack, which closed down Crystal Street for a day and damaged seven neighbouring businesses. Neither police nor the Hells Angels have established why Notorious may have attacked the club, though the senior police source offered a simple answer: "They're just bloody crazy." In the latest violence, a Comanchero member was shot in the leg when he was confronted by five Hells Angels at a park in Silverwater on February 7. Dateline traveled to the remote tribal regions of north-west Pakistan, to see how the new civilian government is coping with the Taliban insurgency. If you missed The Battle for Pakistan on SBS Dateline last week you can view it here. LOS ANGELES (Reuters) - The "Slumdog Millionaire" child actors from the slums of Mumbai will be joining hundreds of movie stars on the red carpet at Sunday's Oscar ceremony in Hollywood, the studio behind the film said on Friday . Fox Searchlight said it was paying the bill for visas, travel and accommodations for nine children to fly to Los Angeles for the Oscars, where the rags-to-riches story is favourite for a best picture Oscar. The studio said the children, who play the younger and teen versions of the characters portrayed by adults Dev Patel, Freida Pinto and Madhur Mittal, will appear on the red carpet and attend the February 22 awards ceremony at the Kodak Theatre. The film makers were accused last month of exploiting the children. British director Danny Boyle and producer Christian Colson have rejected the charge, saying the children were paid above local Indian wages for their work and that the film's makers were also paying for their education. "Slumdog Millionaire" is nominated for 10 Oscars -- the industry's highest honors -- including best picture and best director. It already has won at the Golden Globes, the Screen Actors Guild , and the British BAFTA awards. First poster - A man lying in the hot desert sand...totally exhausted and fainting. Second poster - man is drinking our Cola. Then these posters were pasted all over the place. The salesman replied "I also didn't realize that Arabs read from right to left"
THE estranged wife of a Muslim television executive feared for her life after filing for divorce last month from her abusive husband, her attorney said - and was found beheaded Thursday in his upstate New York television studio. Aasiya Z. Hassan, 37, was found dead on Thursday at the offices of Bridges TV in Orchard Park, N.Y., near Buffalo. Her husband, Muzzammil Hassan, 44, has reportedly been charged with second-degree murder. Pittsburgh, USA: Gateway High School today permitted two Muslim students to wear scarves known as kaffiyehs in school a day after they were told they couldn't go to class if they didn't remove the scarves. Loretta Riggs, parent of one of the students, Mohammad Al-Abbasi, 18, was among those who met this morning with school principal William Short and assistant principal Peter Murphy and several other school officials. "I think everyone there recognized there's some tensions in the school and also amongst the community. We recognize the need for further education and further dialogue. We were very happy that the school district acknowledged this. They're willing to hold such future dialogues," she said. School district spokeswoman Cara Zanella said the students involved yesterday were not sent home but instead were told they could not go to class wearing the scarves and to wait in the office. Ms. Zanella said that concerns had been heightened when three students recently wore T-shirts saying "RIP Israel." The students were told to remove the shirts, which they did. The wearing of the shirts led to a petition from Jewish students, saying they felt threatened. She said the principal then asked Muslim students not to wear the scarves for the time being to try to reduce tensions. 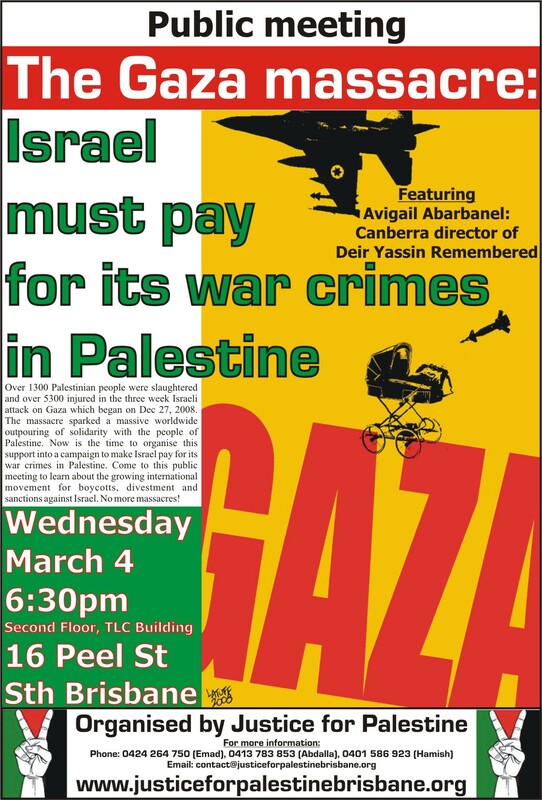 She said there will be future meetings of the Muslim and Jewish students to discuss the issues. US Secretary of State Hillary Rodham Clinton's planned visit to Indonesia as part of her Asian tour has been opposed by an Indonesian Muslim group. About 100 protesters belonging to the conservative Islamic group Hizbut Tahrir Indonesia rallied outside the US embassy in Jakarta Monday to protest Clinton's two-day visit to the country. The protesters waved placards denouncing Clinton as a 'Zionist agent' in reference to Israel. 'Hillary, you're not welcome here,' read a poster held by a woman wearing a white headscarf. Clinton is scheduled to be in Jakarta Wednesday and Thursday as part of her Asian tour that is to also take her to Japan, China and South Korea. Clinton's stop in Indonesia would place her in the Muslim world's most populous country on a trip that could foreshadow a visit later this year by US President Barack Obama, who as a child attended school in Jakarta while living with his mother and Indonesian stepfather. MUSLIM women around the world are facing a "growing crisis" as Islamic governments fail to honour commitments to end inequality and violence against them, a senior UN official has warned. Yakin Erturk, the UN's rapporteur on violence against women, said that women must demand their governments carry out pledges to grant equal rights and ensure their safety. "There is no time left to lose any more as this is a growing crisis," she said after a speech which dealt with the issue at an international conference on "Equality and Justice in the Muslim Family." "Women must demand that their governments implement agreements on women's equality, rights and an end to violence against women, which have been signed but have yet to be carried out," she said. "In these countries, those who speak on behalf of Islam still justify things like stoning or killing a woman for this or that reason as being part of their religion. I have heard this at the most official of levels," Erturk said without specifying which countries were to blame. "Of course violence against women is not limited to Islamic countries but Islamic countries have become stigmatised as being mysogynist societies which are inherently anti-women." This book contains narratives pertaining to the challenges, struggles and success stories of women in the workplace who come from diverse cultures and social backgrounds. The essays discuss the struggles of women who were marginalised but who fought for recognition, dignity and respect in their workplaces and personal lives. The narratives cross cultural boundaries, presenting multiple dimensions of the struggle and success of women from different walks of life. Working Women: Stories of Strife, Struggle and Survival brings hope for those who continue to suffer in silence. This multi-cultural anthology of essays highlights women’s perspectives on a wide range of issues: survival in the workplace, spirituality and religion, empowerment and financial independence, and health and wellness. It provides a space for women to present their lived realities within a global context. Given its racy and lucid narrative style, this book would interest a wide readership including working women from various backgrounds, women’s groups and non-governmental organisations. It would also interest those involved in women’s studies, gender studies, organisational culture and communication, sociology and human resource management. Tightening your mid-section is a cinch with the first of my mid-summer workout series: PLAY TENNIS! WHY IT WORKS?? IT'S A RAPID-FIRE WORKOUT WICH WILL KICK-START YOUR ROAD TO FITNESS WHILE YOU ENJOY THE ARM-TONING BENEFITS THAT COME WITH IT! Every one of us has a six-pack - it's just hidden under those layers of 'protective' flab! The key is to burn off the fat with cardio and work your core from every angle, in order to tone your whole waist. While playing tennis you recruit all of your core muscles - stretching, twisting and contracting your tummy with every shot. 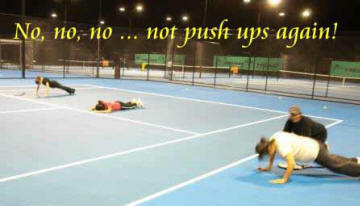 You also endure a major kilojoule as well as fat burn while running around the court to make those shots! But remember, you have to commit to run for those balls!!! To strengthen your obliques (muscles on the side), the secret is to fully rotate your hips and shoulders in the direction of your shot, twisting your torso completely to work your muscles through it's entire range of motion. 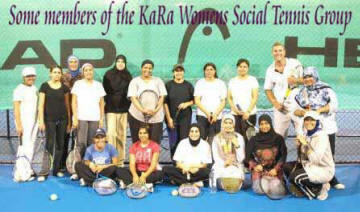 We are in week 3 of our 5 week tennis trial and growing stronger by the week. Currently, our group comprises over 20 ladies registered and meeting every Wed. night at the brand new Griffith Uni Tennis Centre at Mount Gravatt Campus. 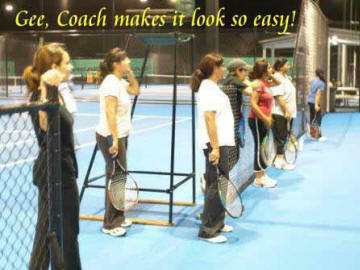 Everyone is making the most of the experience and our tennis coach is very impressed with the progress we've made since we started. I have also set some fitness challenges and this week concentrated on both strength and cardio with the ladies doing push-ups with every miss-hit or point lost to the other team ... all in the name of fun (and burning fat), while our coach had us running laps! It's a great 'time out' for the ladies and proved to be an even better way to meet new people. If we keep the momentum up ladies, there'll soon be a day-group and also an extended program of the one running at the moment. Stay motivated and keep those 'top shots' coming. REMEMBER: DON'T LIMIT YOUR CHALLENGES, CHALLENGE YOUR LIMITS!! For more information, catch me at myhealthandfitness@bigpond.com. 1. Boil the vegetable stock. 2. 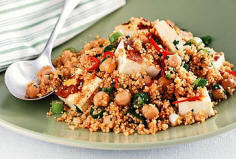 Place couscous in a large heatproof bowl, pour over boiling stock and stir with a fork. Cover with foil and let it stand for 5 minutes. Stir gently with a fork to separate the grains. 3. Cut haloumi into 3 lengthways. Heat oil in a small frying pan and cook haloumi for 1 to 2 mins on either side until golden brown. 4. Cut each slice of haloumi into 10 to 12 cubes. 5. Add to the couscous with chickpeas, green onion and chili, toss to combine. Whisk all the ingredients together and pour over the salad. A little old lady answered a knock on the door one day, only to be confronted by our well-dressed Jalalludin carrying a vacuum cleaner. "Salaams and good morning, " said Jalalludin. "If I could take a couple of minutes of your time, I would like to demonstrate the very latest in high-powered vacuum cleaners"
Quick as a flash, Jalalludin wedged his foot in the door and pushed wide open. "Don't be too hasty!" he said. "Not until you have at least seen my demonstration", and with that, he emptied a bucket of horse manure onto her hallway carpet. "If this vacuum cleaner does not remove all traces of this horse manure from your carpet, Sister, I will personally eat the remainder." The old lady stepped back and said, "Well I hope you've got a big appetite, because they cut off my electricity this morning"
This week's ladies taleem will be held on Thursday between 11:00am and 12:00pm at the home of Zaini Issadeen, 23 Westpark Street, Kuraby. Call 0401422592 for more information.